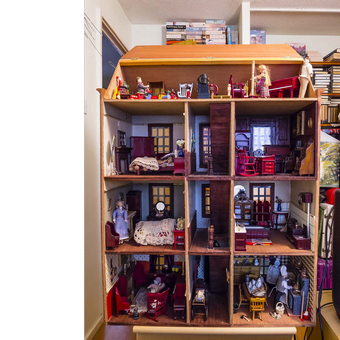 Mary's chosen object was a large dolls' house for which she has made several domestic objects. 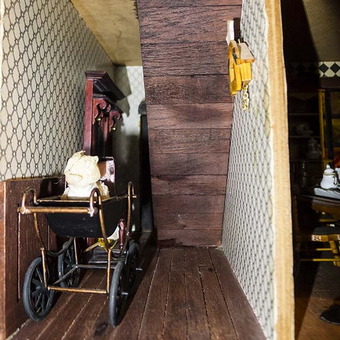 The house is a parallel world inhabited by characters, real and imaginary, who have back-stories and who move around the house from time to time. Mary is a prolific painter and her home is filled with her work. A box of oil paints and eighteen canvases were given to Mary for her to make new work in the future. 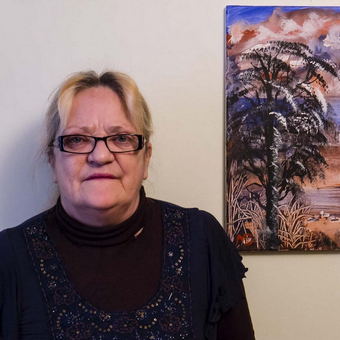 The box contains an engraved plaque, which, in referring to the sub-title of the project, At Home with Art in Everton, describes the confidence with which she approaches her painting and the joy it brings her. The second phrase on the plaque, Eighteen Ways of Seeing, references the title of the seminal work by John Berger, Ways of Seeing. Here it alludes to the project's eighteen participants and acknowledges the diverse ways in which we respond to, and interpret, art and the world around us.